My “Reef Life”” gallery represents my photographic intentions to showcase unique marine life that I have encountered along the way in my scuba career. I hope my “Reef Life” gallery enables you to pursue your own future fish stories. "Hal-Is that You?" 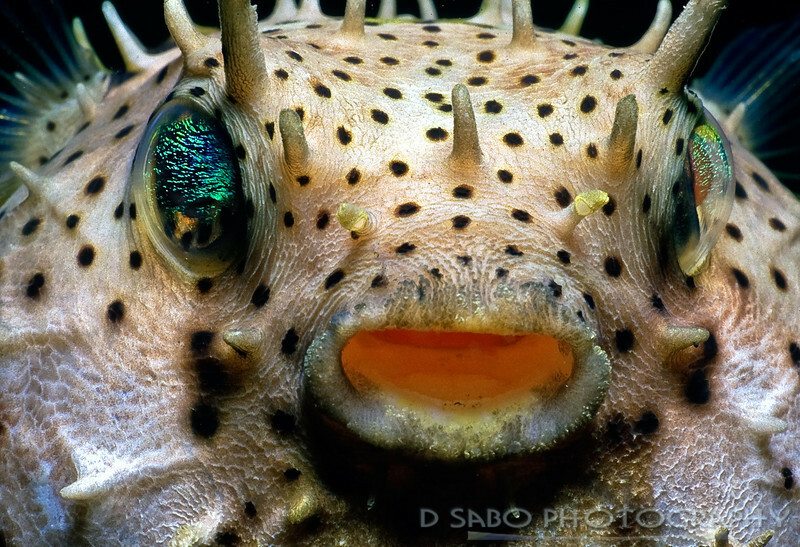 Alien like close up of pufferfish off of a Roatan, Bay Island reef.